In this project we will learn how to use the microphone sound (big sound) sensor with the Arduino Uno board. A microphone sound sensor will detect the sound intensity of your surroundings and will light up an LED if the sound intensity is above a certain threshold. Sound Sensor is a component that receives sound waves and converts them into electrical signals. It detects the sound intensity in the ambient environment like a microphone does. 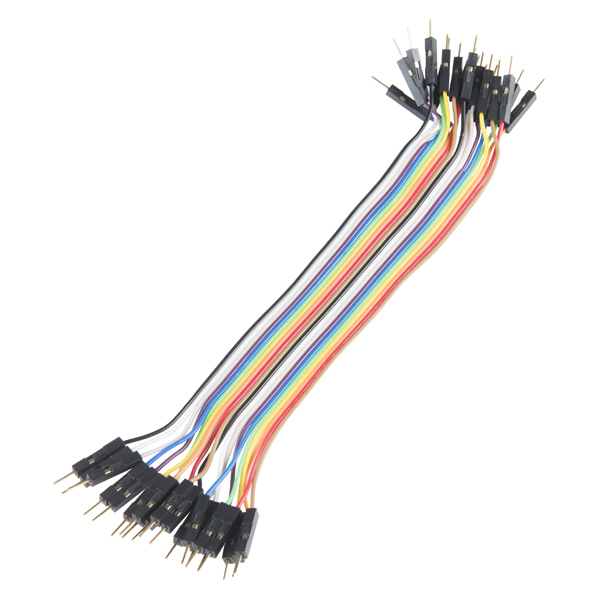 The sensor has a capacitive electret microphone which is sensitive to sound. 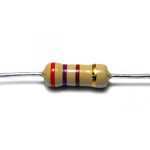 Sound sesnsors have a built-in potentiometer to adjust the sensitivity of the digital output pin. Sound waves cause the thin film of the electret to vibrate and then the capacitance changes, thus causing the corresponding voltage change. Since the change is extremely weak, it needs to be amplified. LM358 here is a power amplifier of 100 times gain. Connect the SIG output pin of the sound sensor to the Arduino Uno board and you can see the value of sound intensity on Serial Monitor, or display the wave forms on an oscilloscope if you have connected one. We will use big sound sensor KY038 in this project. 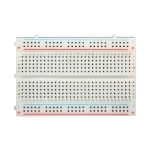 You can read the specification of big sound sensor KY038 here. The threshold-sensitivity can be adjusted via potentiometer on the sound sensor. 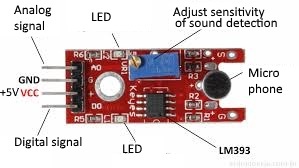 If you’re using the LM393 michrophone sound sensor, you should connect the OUT pin to an Arduino digital pin and GND and +5V pins to Ardino Uno board GND and 5V pins. You can see the value of sound intensity on Serial Monitor. 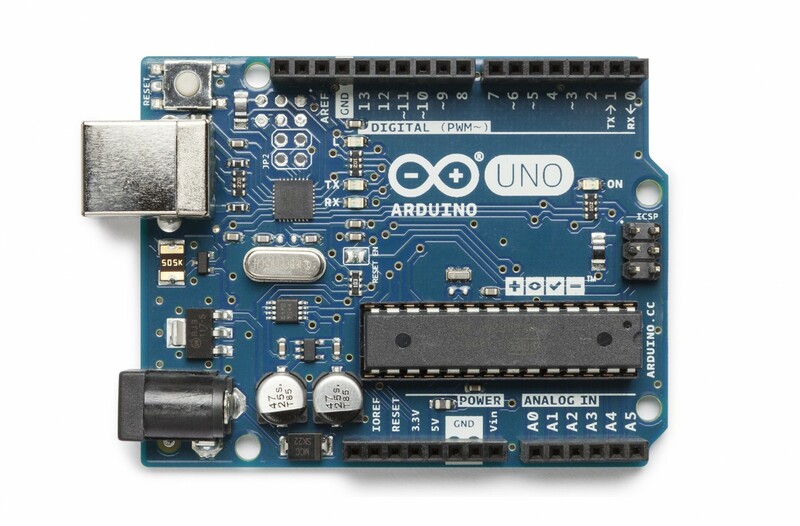 When the volume reaches to a certain value, the LED attached to digital pin 12 on the Arduino Uno board will light up. 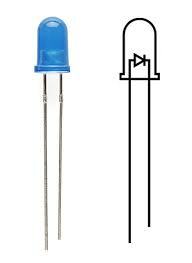 If the LED is not lighting up, you need to change the sensor sensitivity by rotating the potentiometer. 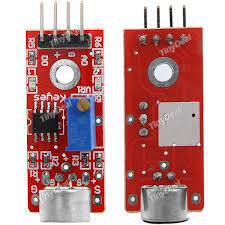 We have learnt how to use big sound sensor or michrophone sound sensor KY038 with Arduino board. See attachments on the beginning of this project description.